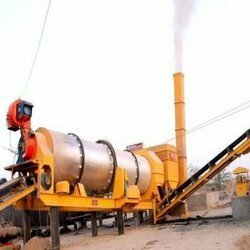 We are one of the leading manufacturers and suppliers of qualitative range of Mobile Hot Asphalt Mixing Plants in India. These are fabricated using quality raw materials and in accordance with the set industry standards. We also offer these in customized specifications to meet the clients’ requirements. Looking for Mobile Hot Asphalt Mixing Plant ?